Aaron came home from his business trip in Vegas sick. I did the only thing I know to do to help... make chicken soup. 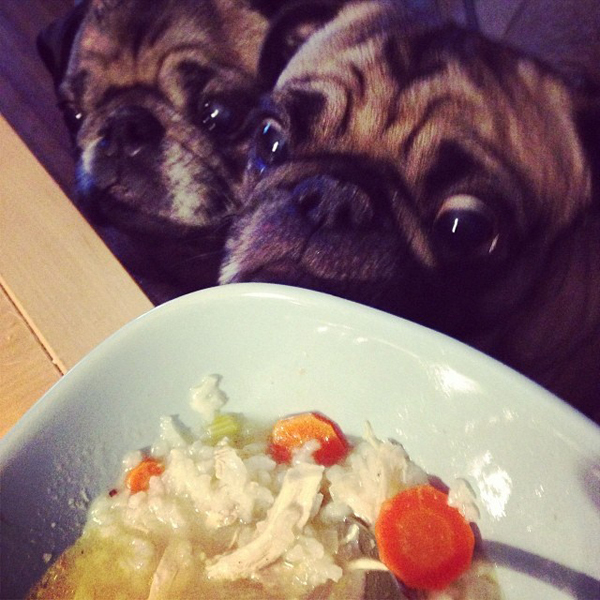 For some reason, noodle soup didn't not sound appealing to him, but he requested chicken rice soup. 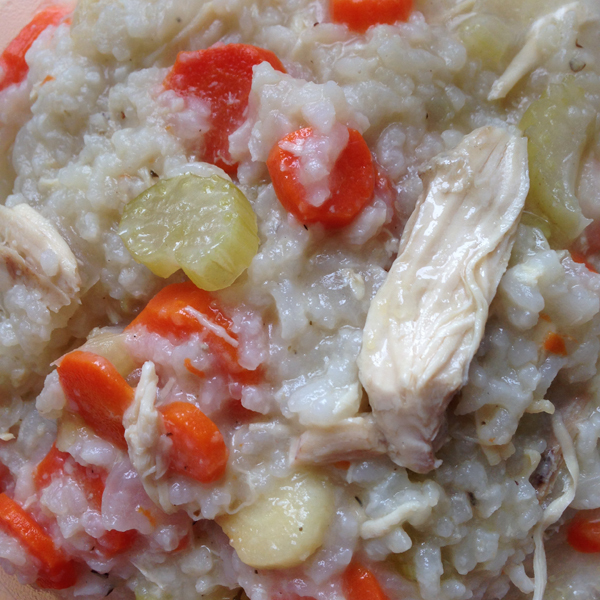 I hadn't made a chicken rice soup yet but swapping out noodles or corn seemed easy enough. 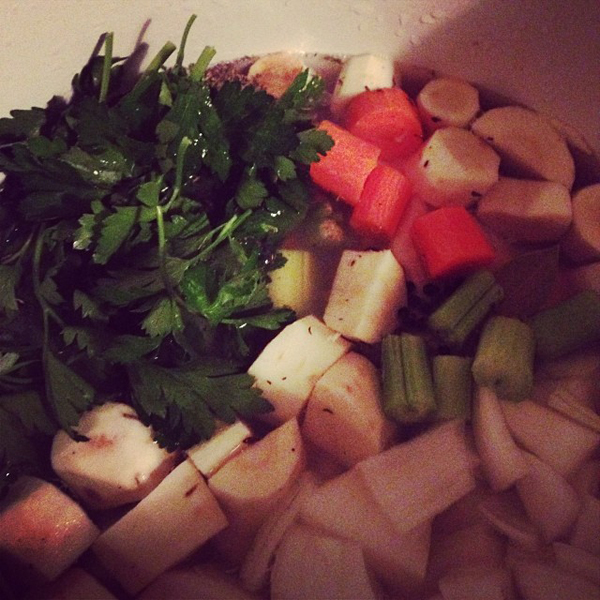 I started with the usual, a whole chicken, carrots, celery, herbs and something I haven't used before... parsnips. It is very satisfying to make comforting food like this from scratch. He ate a big bowl of it so I'm sure he is on his way to feeling better. The nurse pug were very approving. For breakfast he wanted oatmeal and I was happy to make him something hearty and filling. 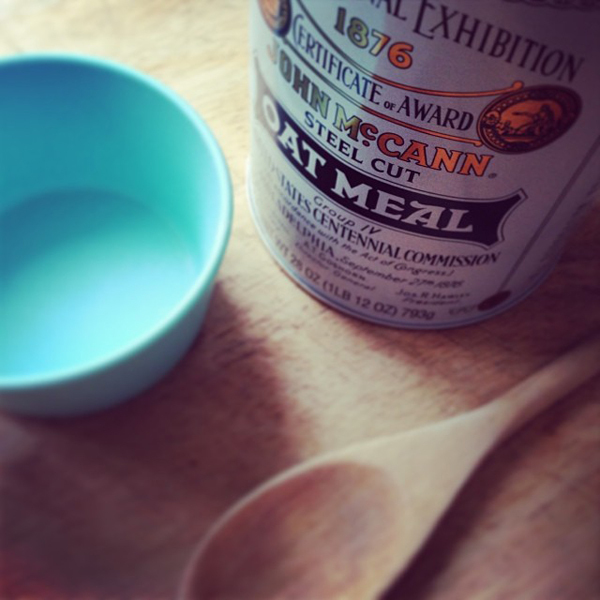 I skipped the instant stuff and went right for the serious McCann's Steel Cut Oatmeal. It can take almost an hour to make it but it is so worth it. 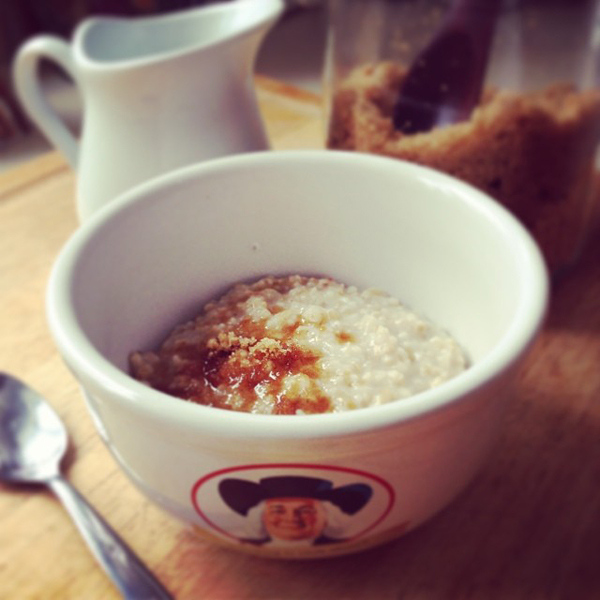 Yeah, I served McCanns in a Quaker Oatmeal bowl. Craziness. Happy to report - your cooking has made me better. Thank you for taking care of me. I love u.